Back in Zurich going through Paris Fashion Week Street Style photos. What strikes first is the change in attitude this season. Gone are the days when you’ll see celebrities wearing several outfits in one day. 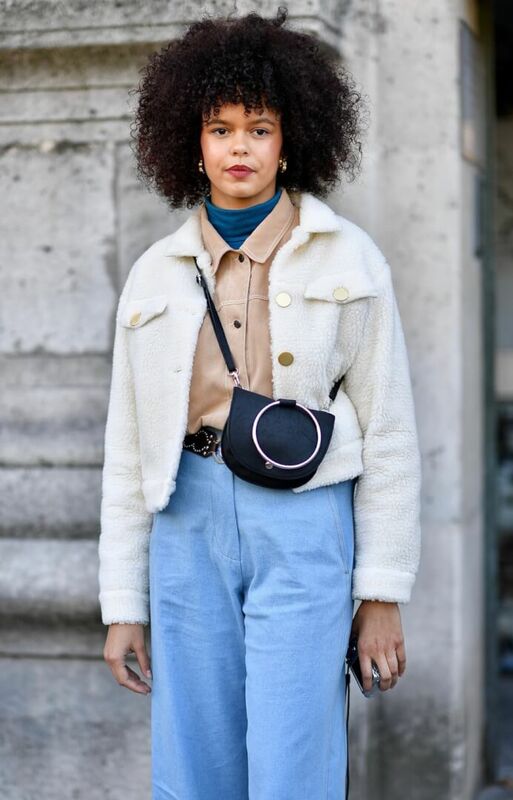 This season people dressed carefully at the beginning of the day and stayed in their outfit the whole day long – too bad if they weren’t wearing the brand of the current show! So what were they wearing? Sunglasses have taken a real turn. The cat eye look has gone, replaced by either large round frames or smaller frames with a straight bar on top. Neon is popping up everywhere – hope you have a piece in your wardrobe! 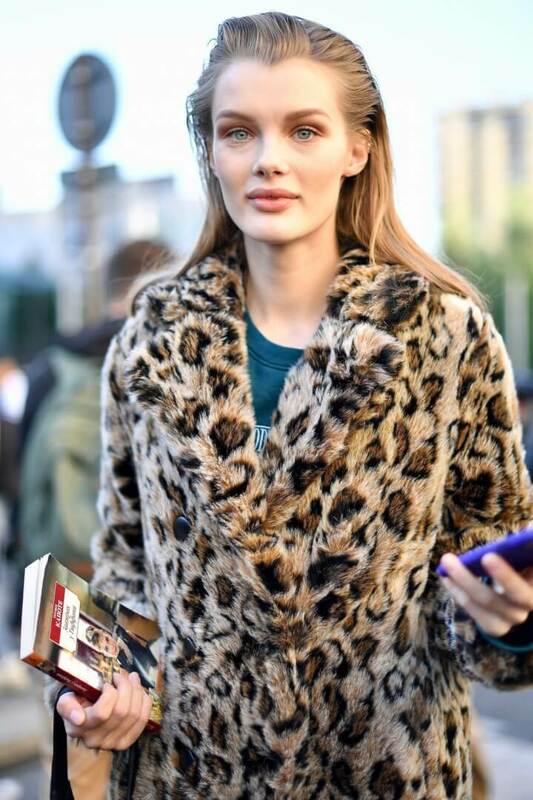 Plenty of tartan, and animal print… can’t preach these trends enough this season! The logo hype seen during Fashion weeks in February this year seems to be taking a step back. Although this could mean it’s a trend reserved for Summer. Ugly shoes are simply a must have. Gone is the plain white sneaker – hello bulky sneakers with a touch of colour! Over the knee boots are being used as statement pieces to complete any outfit! The bulky knit continues to be big, we saw that coming through last Winter. The pencil skirt is being revived with longer lengths. Plenty of yellow red and camel on the streets – apologies if I’m repeating previous street style post here. Several cute winter white looks seen. Khaki is going nowhere so hold on tight to any pieces you already have in your wardrobe. 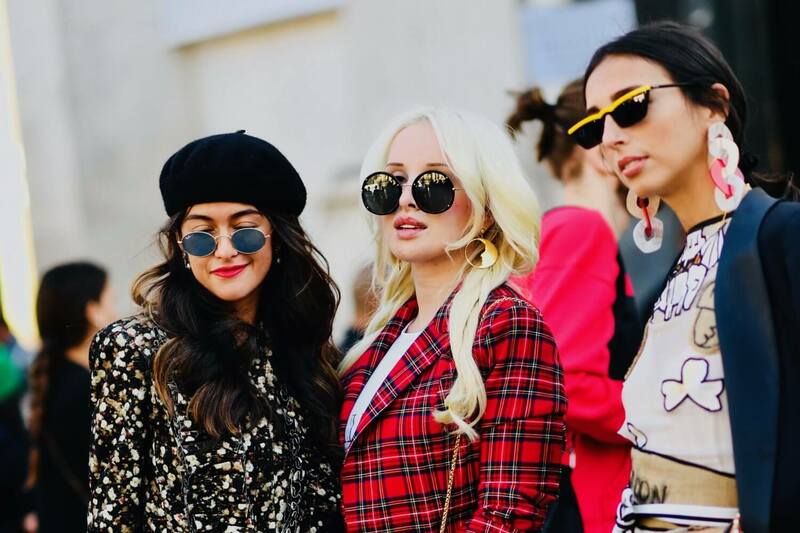 Now time for you to scroll through and spot the Paris Fashion Week SS19 trends for yourself! 33 more Paris Street Style looks – see here for previous Paris Street Style post. One outfit two different shows… note the neon green. Stay tuned for more Fashion Week news! The comment section is at the end of the post, I love reading all your comments. With fond memories of Paris Fashion Week! These photos are better than Vogue! Nicer selection and great quality. Well done . Oh wow, thank you so much! Thank you Susan, so glad you enjoyed the photos, I love that cape too! As always, I like your outfit, because you refuse to be swallowed up by trends. The dark orange is peppy on you and would work well with a wine colored sweater when it gets colder. Good eye. I also liked the flawless olive jackets, the denim jumpsuit, the head to toe red velvet (on her, not me) and the simple, neatly trimmed, glossy center-parted hair. I love to see what’s new, especially if it’s a new way to flatter the woman wearing it. I’ve enjoyed so much reading your post!!! Your trends review is really good, not just accurate but enjoyable as well! It was so nice meeting you in Paris. Hope you enjoyed the rest of your stay!